There are a lot of weird food trends out there: avocado toast chocolate bars, hummus shakes, pickle juice slush — need we say more? One hot dog recipe is also causing quite the stir for its unusual choice in condiments: PB&J. [post_ads]Would you put peanut butter and jelly, the staple ingredients for the sandwich of yesteryear, on your hot dog? Sure, it sounds like a bizarre pregnancy craving, but Bustle reports that you can get this meal-confused hot dog recipe (is it dinner or is it lunch?) at Mount Airy Casino Resort in the Pocono mountains. 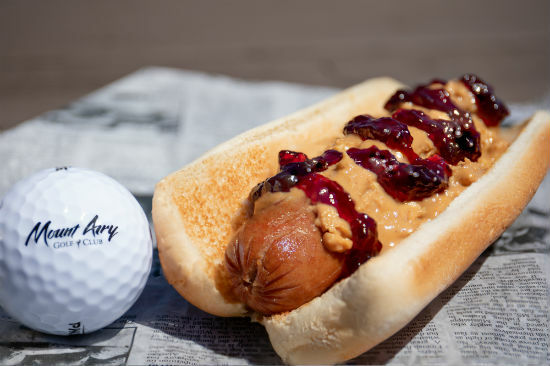 A spokesperson told Metro that this frank is part of the secret menu at Mount Airy's Golf Clubhouse, and that "in-the-know golfers rave" about it. It’s described as a "perfectly grilled hot dog slathered in grape jelly and chunky peanut butter." Would you give this peanut butter and jelly slathered hot dog a try? With some digging, we found that peanut butter and jelly hot dogs aren’t exclusive to the Poconos. The Dog Den in White Plains, New York offers a hot dog called "Fat Elvis," which is topped with — you guessed it — peanut butter and jelly. FlyDogz, a joint in Lincoln, Nebraska, serves a hot dog recipe called the "PopFly." This includes peanut butter, grape and strawberry jelly, jalapenos and bacon. Marcus Pierson, owner and manager of FlyDogz, told the Lincoln Journal Star that his daughters made up the recipe. 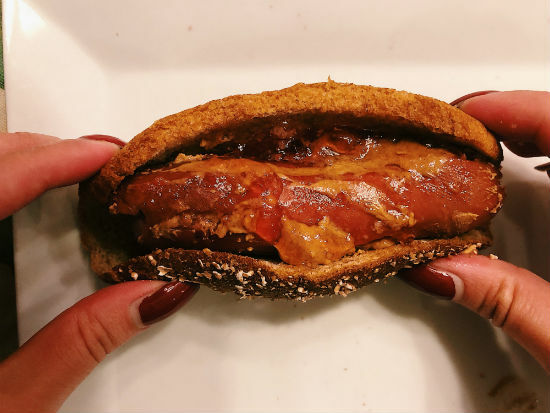 How does this bizarre PB&J hot dog recipe taste? 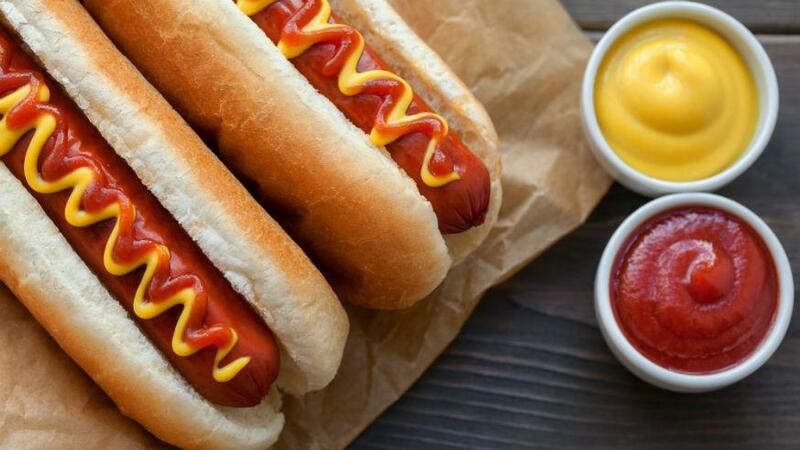 Almost every hot dog recipe found online replaces a hot dog with a banana (makes sense). But, a writer for the blog "Art of Manliness" took a different approach, placing hot dogs in a PB&J sandwich instead of putting peanut butter and jelly on a frank. The writer then grilled the hot dog sandwich on a skillet. "Grilling up peanut butter and jelly makes it all gooey and sloppy," they wrote. "I wasn’t in love with the hot dog, but it definitely wasn’t bad. This would be a good sandwich if you’re doing yard work on a weekend and want something quick and easy, but a little heartier than just PB&J." I tried a peanut butter and jelly hot dog for myself — with a few adjustments. I used a turkey frank, natural peanut butter, cherry preserves and, because I didn't have hot dog buns, an end slice of multi-grain bread. It didn't look pretty, but the verdict was one of total disbelief. It was salty, sweet, nutty and, besides the fact that I was eating an unlikely pairing of food, it tasted rather familiar. Flavor-wise, I can compare it to a turkey sandwich that features jam or some sort of chutney — with a nutty kick. That's how shockingly normal it tasted. In other words, it was good — really good. If you want to give this hot dog recipe a try, the ingredients are as standard as they get. And, if you thought peanut butter and jelly hot dogs were strange, we’ve just discovered that mayo ice cream exists. But that, my friends, is not worth another word.